Give yourself time to prepare. If you're thinking of selling six months from now, start preparing your property now. Do any necessary staging, and get it looking its best. Avoid doing these tasks at the last minute. Set the right price. Pricing your property too high will likely result in few, if any, buyers coming to see it. You might end up having to lower your price later, causing your home to linger even longer on the market. 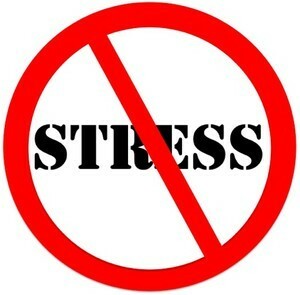 That's stress you don't need! Plan get-away activities. When a buyer comes for a scheduled viewing, don't be home. Instead, plan some fun activities for your family. Think: playground, shopping, cycling, the zoo, etc. Accept the ups and downs. Prospective buyers might say they love your home and plan to make an offer. Then you don't hear from them again! It happens! Accept the inevitable ups and downs of selling your home. Get help with repairs. You'll probably have things that need to be fixed around the home, like a dripping faucet that needs repair or a room that needs painting. If possible, hire a professional to do some of that work.